The Adirondack Museum at Blue Mountain Lake, New York is inviting families visiting the museum from September 24 through September 30 to participate in the “Young Naturalists Program” — a series of self-guided activities that explore gardens, grounds, and wooded areas while learning about the natural history of the Adirondacks. 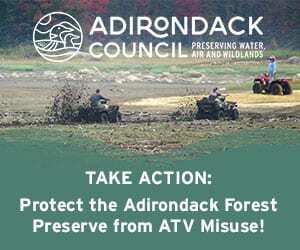 The Adirondack Museum is one of many participants nationwide in “Take a Child Outside Week.” The program is designed to help break down obstacles that keep children from discovering the natural world. By arming parents, teachers, and other caregivers with resources about outdoor activities, the goal is to help children across the country develop a better understanding and appreciation of the environment in which they live, and a burgeoning enthusiasm for its exploration. “Take a Child Outside Week” has been initiated by the North Carolina Museum of Natural Sciences and is held in cooperation with partner organizations such as the Adirondack Museum, across the United States and Canada. The museum is offering a number of special activities to guide families in exploration of the outdoors. Find the beauty in leaves, trees, and rocks with the Nature’s Art Scavenger Hunt. Use a tree guide to identify and learn about the trees on museum campus. Learn about the tracks and signs animals leave behind at the Animal Signs Station and visit sites on grounds where you can see signs of nighttime animal visitors. Make a pinecone mobile or leaf rubbing at our Nature Crafts Center. Explore mystery boxes at the Senses Station and look at pictures and pelts of Adirondack animals. Learn how animal coloring helps them survive. Watch fish in the pond, learn how to identify rainbow and brook trout, and help feed them lunch at 12:30 p.m. daily. Families should not leave the museum without a “Young Naturalists” booklet filled with activity suggestions to do at home, in parks, and on trails. According to the organizers of the weeklong program, “Going Outside” connects children to the natural world, helps kids focus in school, and reduces chances of childhood obesity.